Students arrive between 7:30 and 7:45 a.m. and start their day in the Chinese classroom. 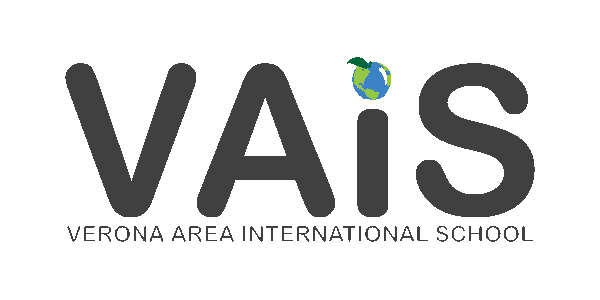 VAIS is part of the school district’s free breakfast program. Every student can have a nourishing start to the day while the teacher takes attendance, records lunch choices, and checks for notes from home. Students gather on the rug to sing welcome songs in Chinese, do a counting exercise, and learn different greetings. Students are taught a new Chinese character and return to their tables to practice writing it. Students are introduced to Chinese vocabulary in weekly thematic units (family, what is in my backpack, food, etc.). The teacher uses the interactive SmartBoard, iPads, and online stories to engage the students in the activity. Kindergarteners go to Global Arts four days per week where they participate in art, music, and physical education activities from across our globe. Students have the opportunity for a mid-morning break and nourishment as they finish their breakfast while watching a Chinese nursery rhyme video. New concepts will be introduced by the teacher at the SmartBoard. Students then break into small groups and rotate through several math centers. The teacher is available to work with students in small groups and challenge each of them academically. The students go to recess and proceed to lunch. Students return from lunch and find a quiet spot in the room to do some reading, drawing, or rest time. Rest time is more common the first month of school when children are still getting used to a full day of school. This is the start of the second half of their day in the English classroom. Often this is when social studies lessons are integrated into the day. The class might discuss a historical figure, learn about another country, or explore the globe. Daily CAFÉ begins with a shared reading or SmartBoard activity. Students then break into small groups and practice reading to themselves or others using reading techniques introduced by the teacher. Initially they learn to read using “An Eagle’s Eye” which allows them to explore a book and read it by looking at the pictures. They quickly move into “Lips the Fish” where they start to sound out each of the letters in a word. Next they learn to blend the letters by using the “Stretchy the Snake” technique. These strategies allow students to become proficient readers. Students rotate through word study and reading activities followed by an afternoon recess. Kindergarteners play outside (weather permitting) with kindergarten and first grade students from both Stoner Prairie and VAIS. A recess teacher provides supervision during this time. Writing activities progress from drawing and talking about what they drew to writing words and sentences as they become better writers. School is dismissed at 2:35 p.m.
* Kindergarteners also participate in a lesson taught by the school librarian every other week in the Library Media Center followed by the opportunity to check out a book. Guidance topics of social, life, and listening skills are taught by a licensed counselor every other week. Throughout the year, kindergarteners take part in several VAIS community gatherings, Stoner Prairie all-school assemblies, science fairs, field trips, and classroom celebrations.